These are a series of community work LollyTalk involved in with various organization to make our world a better place to live in.... Thanks to all our partners and friends who believed in us and worked with us!!! Checkout our Facebook album for more photos of LollyTalk's Community Projects. LollyTalk spotted in Myanmar! 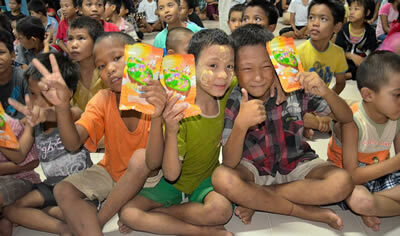 LollyTalk is one of the proud sponsor for the Nov 2012 visit to Andrew 2 Orphanage at Yangon, Myanmar!!! 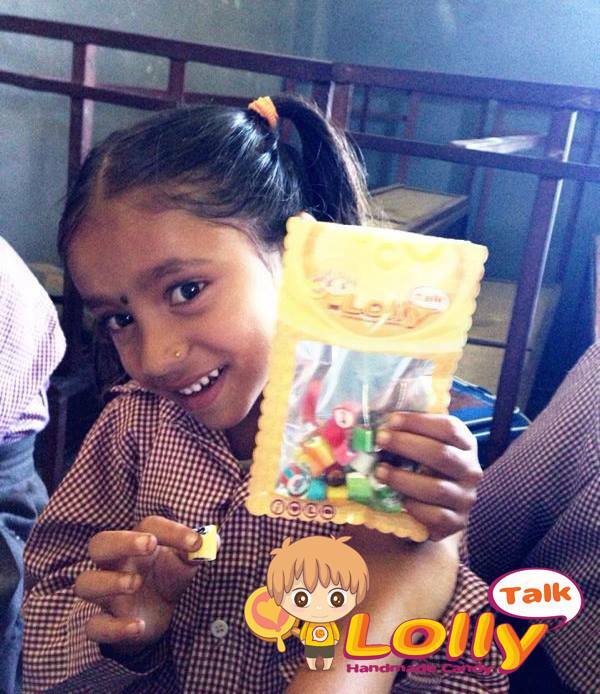 It was a touching moments when the kids sing, and it was pure joy to see them collect their packet of LollyTalk!!! 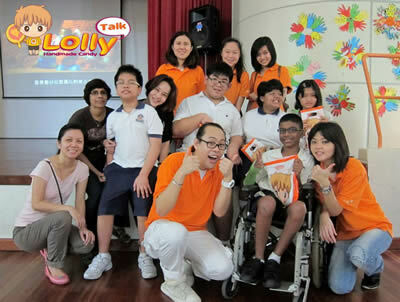 LollyTalk spotted at The Spastic Children's Association Of Singapore Cerebral Palsy Centre!!!! Working with RGS girls July 2012, in the Yellow ribbon project; I CAN BE. 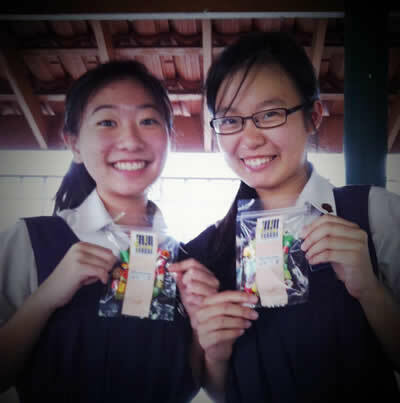 Helped in the Fund Raising by selling LollyTalk handmade candy. LollyTalk worked with APEX to raise funds for the needy during Ramadhan while bringing LollyTalk's Lolly handmade with love and passion to more people! LollyTalk spotted with children from Assisi Hospice while learning Taekwondo from caring and loving volunteer instructors!! The Assisi Hospice is a Catholic Charity providing compassionate, personalised and quality Palliative Care to adults and children with life limiting illnesses through Inpatient, Home and Day Care services. LollyTalk spotted in Vietnam (Gia Bac) with Hope Across Borders!!! 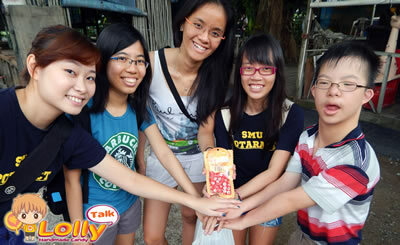 LollyTalk is happy to bring our yummy handmade lolly made with love and passion to the kids in Gia Bac. LollyTalk spotted in Myanmar with Project PYAW!!! The primary objective of Project PYAW aims to provide a platform the children to practice English speaking through a series of fun-filled activities. The team hope to bring out children's joy and enthusiasm in learning, thus naming their project "Project PYAW". "PYAW" stands for "Happy" in Burmese! 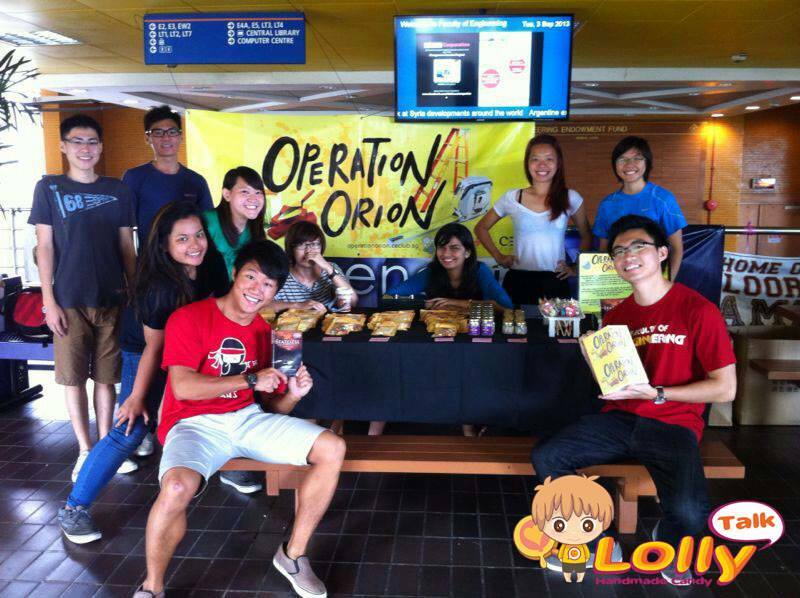 And LollyTalk is happy to work with NTU Rotaract Club! 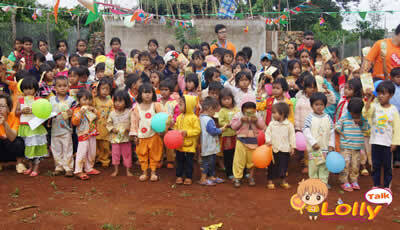 LollyTalk excited to bring our Happy Lolly to these happy kids in such a happy project!!! 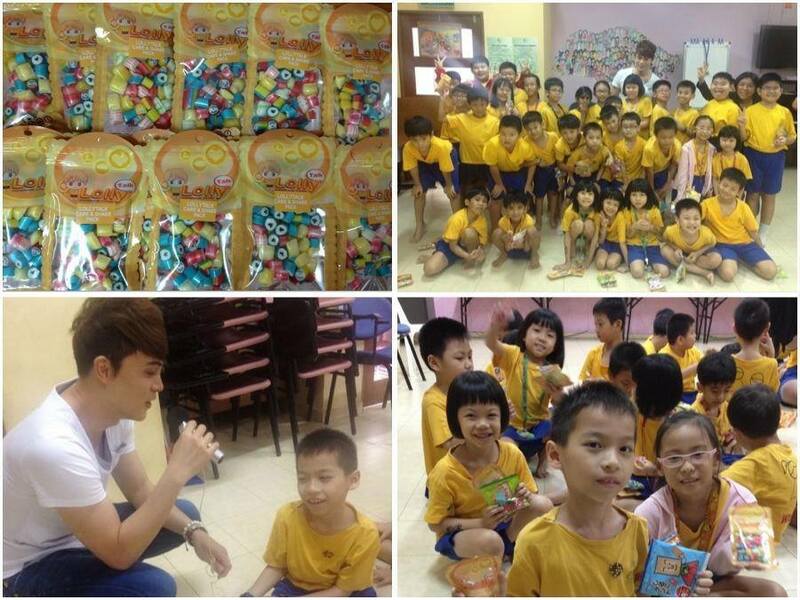 It was a happy moments to see the kids enjoying the lolly as much as we enjoyed making them back in Singapore!!! Support of the building of Ban Nam Tong Primary School in the Bokeo Province of Laos via Operation Orion!!! LollyTalk involved in a project with Victory Life Christian School bringing our handmade lolly to various villages in Cambodia. LollyTalk spotted at "Bystanders, Stand By!" 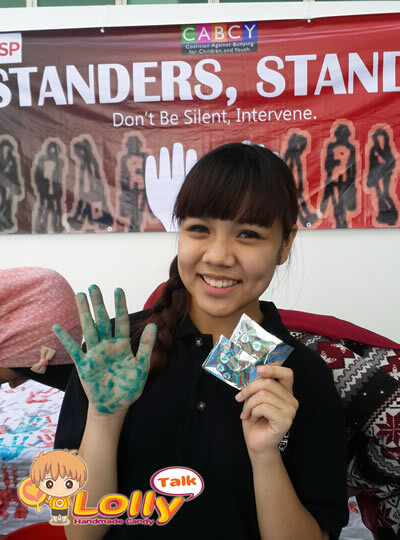 Anti-Bullying Campaign 2014 by Singapore Polytechnic in collaboration with CABCY (Coalition Against Bullying for Children and Youth)! If you yet to get a taste of these yummy "STAND BY" lollies handcrafted with love by LollyTalk. LollyTalk spotted in Nepal, Lahachok!!! LollyTalk is happy to bring our yummy handmade lolly made with love and passion to the kids in Nepal via the help of NTU Welfare Services Club. LollyTalk spotted at Student Care Centre !!! LollyTalk is happy to bring our yummy handmade lolly handcrafted with love and passion to these kids with Wallace Ang and his lovely team at FM972, The Morning Touch!!! 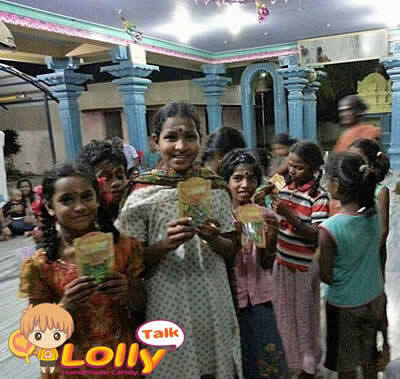 LollyTalk spotted at Lakshimi Narayana Perumal Temple,India! 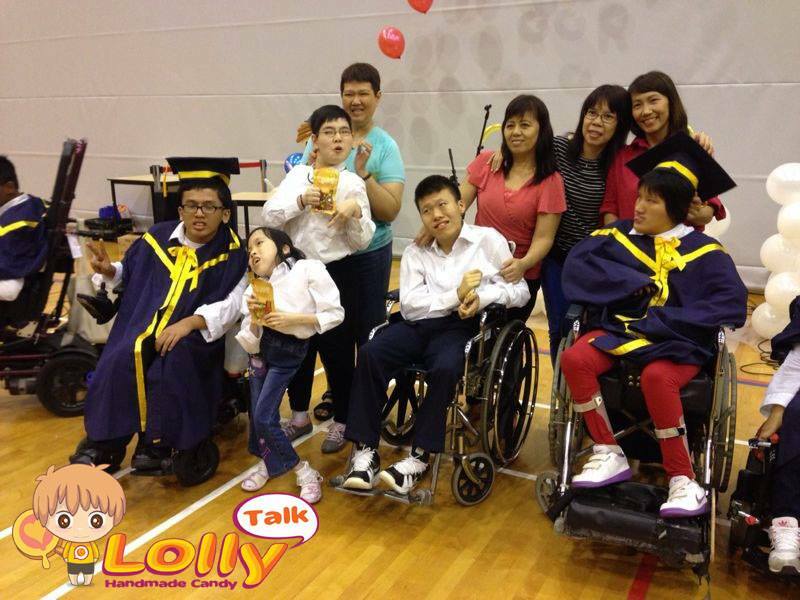 LollyTalk spotted at Cerebral Palsy Alliance Singapore (formerly the Spastic Children's Association of Singapore) Cerebral Palsy Centre on 15th November 2013!!! LollyTalk spotted during Public Health Screening (PHS) at Toa Payoh HDB Hub!!! PHS provides health screenings free of charge to the general public, is an annual event organized by the NUS Medical Society. PHS seek to improve the public’s awareness of chronic diseases, with a focus on cancers, cardiovascular disease and diabetes, which are among the top causes of mortality in Singapore. LollyTalk spotted with Down Syndrome Association (DSA) via Project Bloom with the help of SMU Rotaract Club! Project Bloom is a SMU Rotaract Club initiative in collaboration with the Down Syndrome Association (DSA). Through the interaction with the beneficials, we hope that volunteers cultivate a willing heart to contribute meaningfully back to society. More importantly, Project Bloom seeks to expose DSA beneficials to a myriad of educational elements and life skills to widen their perspectives, upgrade their social skills, and help them to bloom as individuals! 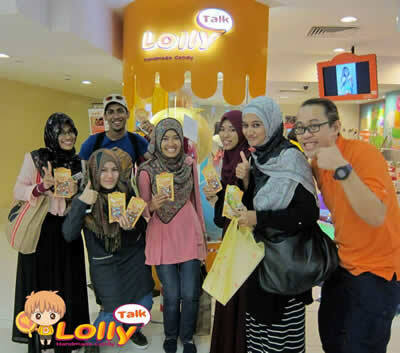 LollyTalk spotted with happy kids at Chiang Mai, Thailand!!! 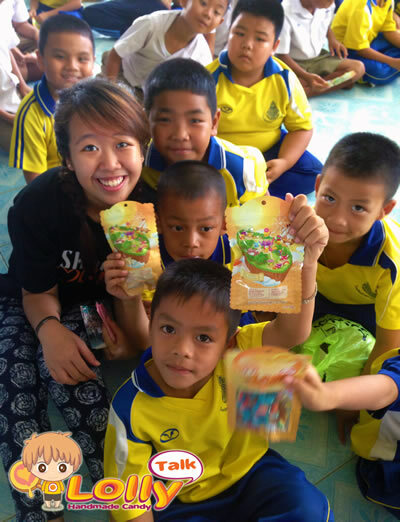 LollyTalk is happy to bring our yummy handmade candy handcrafted with love and passion to the less privileged kids in Puang Kham area (Thailand) with the help of Project Sawasdee via the wonderful students of NUS Sheares Hall Overseas Outreach!!! Project Sawasdee, a Sheares Overseas Outreach Project is in its second year running since it was set up by the residents of Sheares Hall last year. In conjunction with Chiang Mai YMCA, the committee consisting of 20 members will be embarking their journey to Puang Kham area in Li District, Lamphun Province. This project is pioneered in collaboration with Chiang Mai YMCA and YEP.